How did I get to know Emoda? I started reading japan fashion magazines about 7 years ago and my favourite japan fashion magazine is Popteen. I still have a stack of these back in Malaysia and it's really cool because you will not get bored reading it over and over again. I have no idea why japan fashion never fades away, at least not that I know of. They are always the first in line and doesn't get out-dated fast. Don't get me wrong, I am not into those "lala" japan style. Anyway, back to the question. 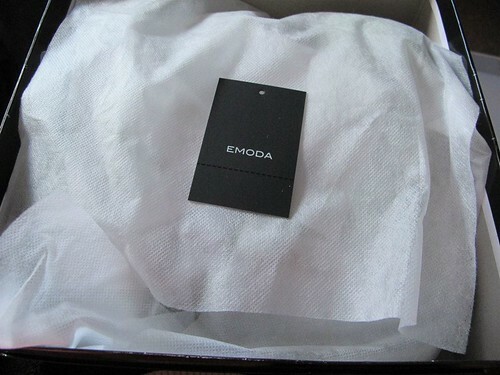 I was first introduced to Emoda when it was featured in the Popteen magazine. It has always been something from Emoda in Popteen, whether it was cosmetics or clothes, accessories etc. 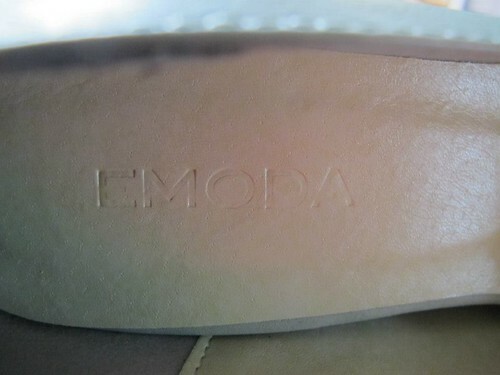 A while ago, I have stumbled upon the Emoda bulky insole shoes. I immediately fell in love and wanted it badly. However, it is always out of stock or me being in dilemma to getting it or not (because it is really expensive and the shipping costs to NZ omg). Finally, I just decided to get it and worry about everything else later lol. 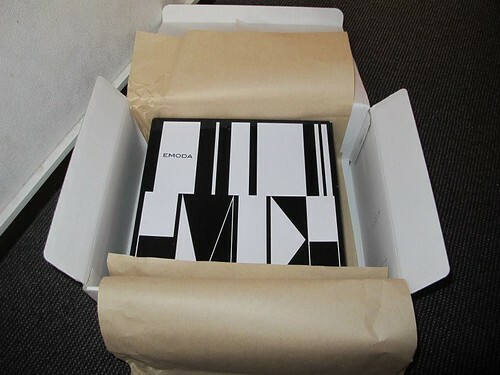 I ordered the shoes from the Emoda Webstore and used Express Mail Service (EMS). I ordered it on 23 June 2013 and received it by 29 June 2013. It came in two boxes. The bigger box outside is to protect the smaller box inside which contained the item that I purchased. 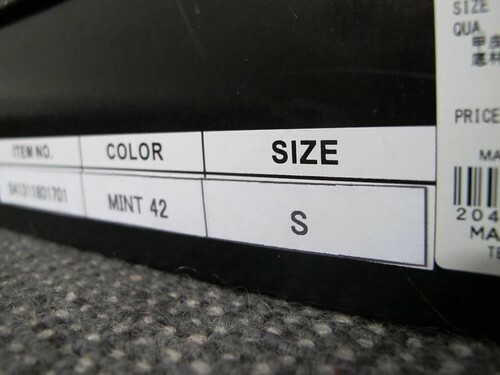 Since you can only choose between S, M, L for shoe size, I just try my luck by choosing S, not even sure what S means. And I can only pick between white, black and mint. White and black is way common and plain, so I thought I could spice up a little and get mint! Unwrapping in progress. Feeling excited. I haven't wear it out yet but I just tried the size. S size was a little big for me (my normal shoe size is EU35). I hardly buy shoes here in NZ (or any where) and I thought japan people have small feet too LOL. Anyway, I just had to wear socks and put some shoe cushions to make it fit my feet. Other than that, I am very satisfied with the comfort and the quality of the shoe. Will I purchase anything from Emoda Webstore again? Unless I really want the item or I can't get it any where else, I will not purchase anything from Emoda Webstore. The shipping fee itself costs more than the item, and the item cannot be returned in exchange of size or colour. 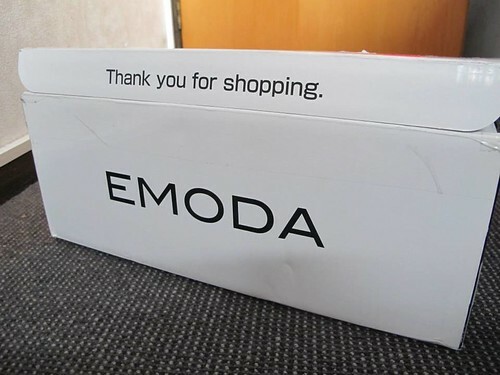 Nevertheless, if I have the chance to visit Japan, I would pay a visit at Emoda store. Emoda has really great style and design for their items. I'm talking about style that I felt comfortable with, and worked well for me. Probably not for shoes since their S size is still big for me, but for their clothes and accessories. But surprisingly it doesnt take long to reach you (: Love the shoes btw!